The idea of celebrating our national emblem occurred to several school - teachers in the late 19thC. 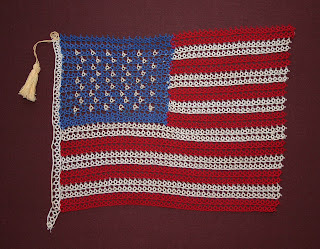 Wisconsin, Pennsylvania, New York, Washington D.C. school children celebrated organized patriotic programs and in 1916 President Wilson officially established Flag Day and in 1949 President Truman signed a congressional act proclaiming June 14 as National Flag Day. Tatting is a type of knotted lace made of a series of double knots over a core of thread held by a small shuttle forming rings and chains, which are combined to form the lace patterns. It has been suggested that its origins began with knotting techniques of the 16th and 17thC but we know it reached popularity in England and Europe in the early 19thC. 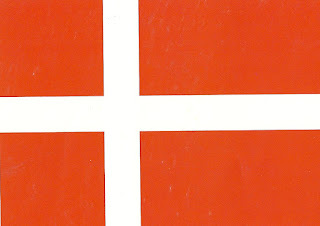 The subject of flags is a fascinating one, going back centuries in countries all over the world. 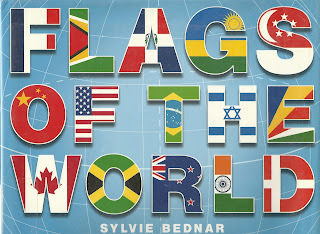 In 1957 a word meaning the study of flags, vexillology, was coined by Whitney Smith, who today is a flag scholar and a founder of the North American Vexillological Association. A vexillologist designs flags. 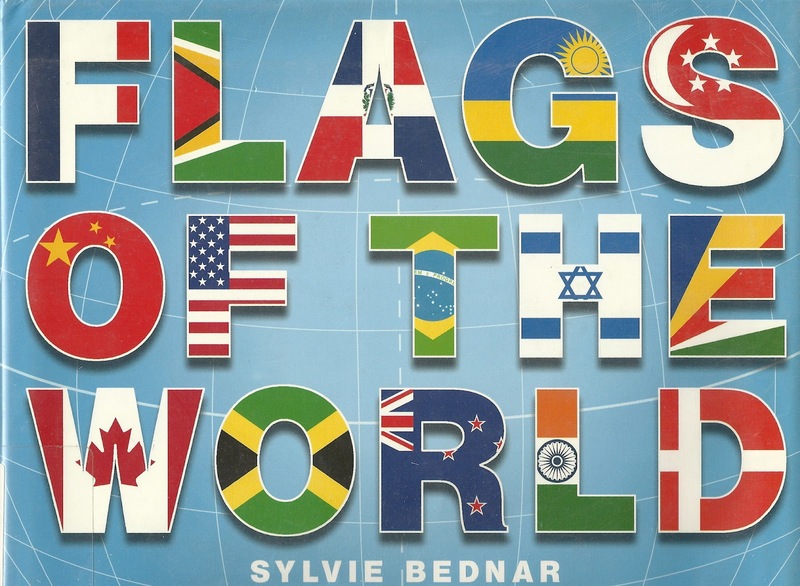 A vexillographer studies flags and what their images and colors represent. These terms are derived from a Latin word, vexillum, which means a standard or banner. 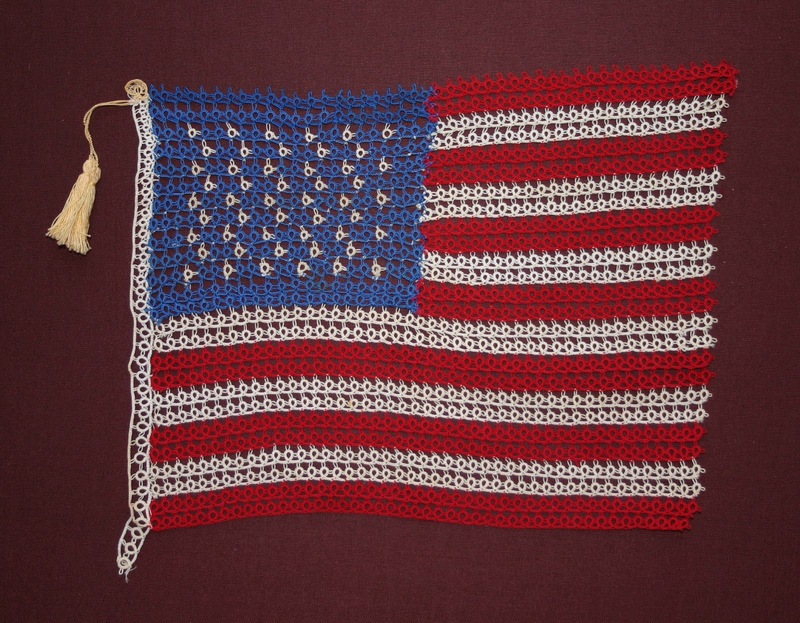 These textiles contain dramatic symbols that have great meaning to the peoples of the countries they represent. They are sources of great pride, a show of their allegiance and a descriptive of their culture. Each flag tells a story, each is unique. Denmark’s flag is the oldest national flag in the world, having been flown since 1625. The flag of Nepal is unique in that it is the only such banner that is not a quadrilateral. It is composed of 2 triangles representing the Himalayan mountains, the highest mountain chain in the world. 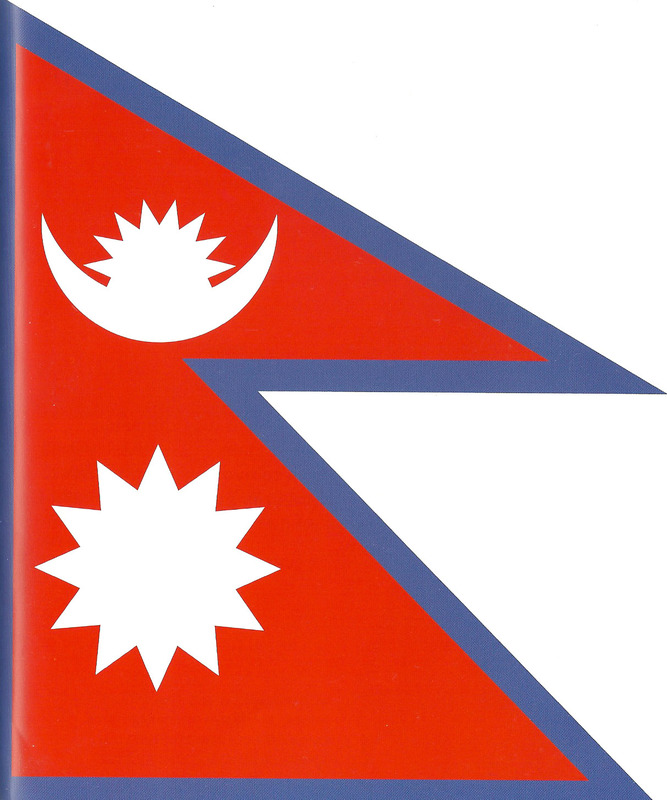 The triangles also represent the two major religions of the Nepali people, Buddhism and Hinduism. The two designs represent the sun and the moon.